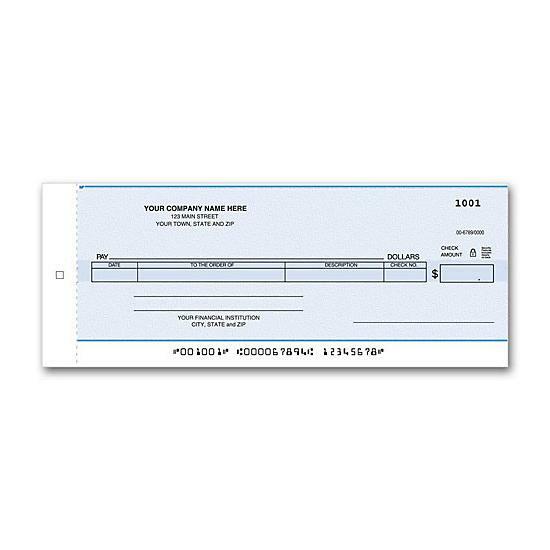 Handy deskbook checks save space & make it easy to record payments on the go.Compact 3-on-a-page business checks go anywhere - with BIG stubs to capture transaction details! Checkminder vinyl cover (56601N) sold separately. 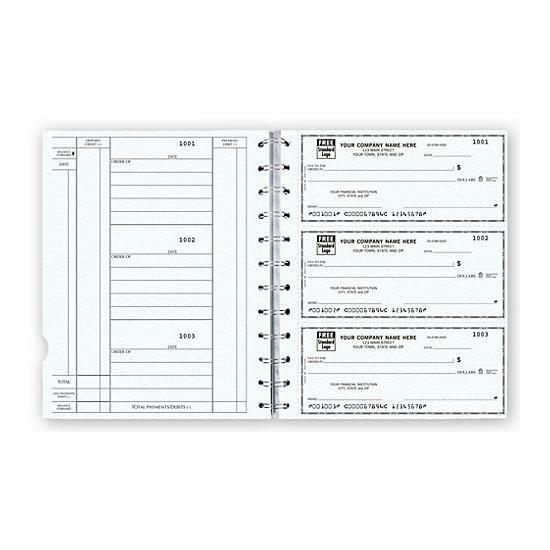 Available with or without carbonless duplicates. 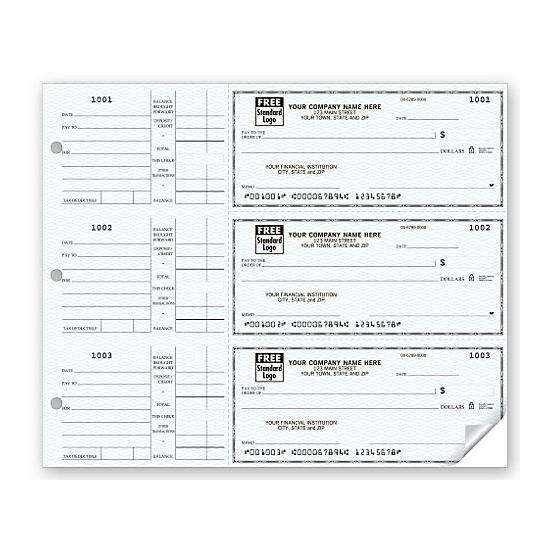 Includes check-stub file and 1-part deposit tickets. 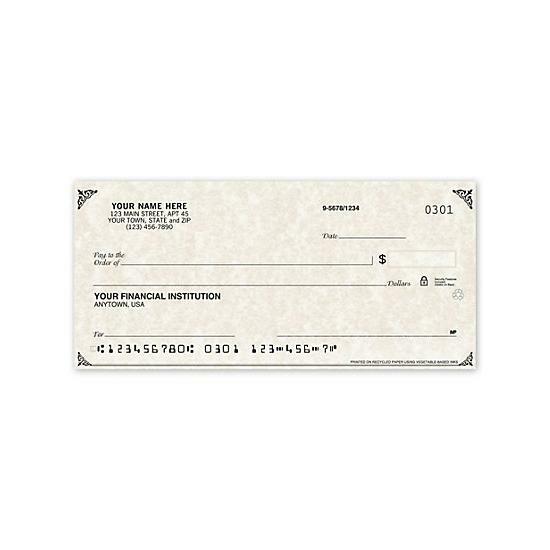 Back of stub is pre-printed to accommodate transaction details.